As the main entry facility for immigrants coming to the United States for more than half a century, Ellis Island was the last stop before a move to freedom in America. About 12 million people from Europe and elsewhere entered the United States through this portal. 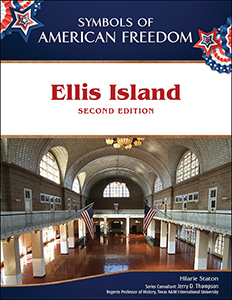 The fascinating and newly updated Ellis Island, Second Edition uses immigrants' own words, photographs, and full-color illustrations to explore the significance to those who wished to pursue the American Dream. Hilarie Staton has written for students and teachers for more than 25 years, including The Progressive Party: The Success of a Failed Party. She enjoys researching and writing about history, especially from original documents. She lives in New York's Hudson Valley.